HMMH provided an environmental noise analysis of the helicopter operations at the University of California, Los Angeles (UCLA) Ronald D. Reagan Medical Center helistop. HMMH’s analysis included developing Community Noise Equivalent Level (CNEL) contours for the latest 12-month period of helicopter operations to the two side-by-side helipads atop the Medical Center. 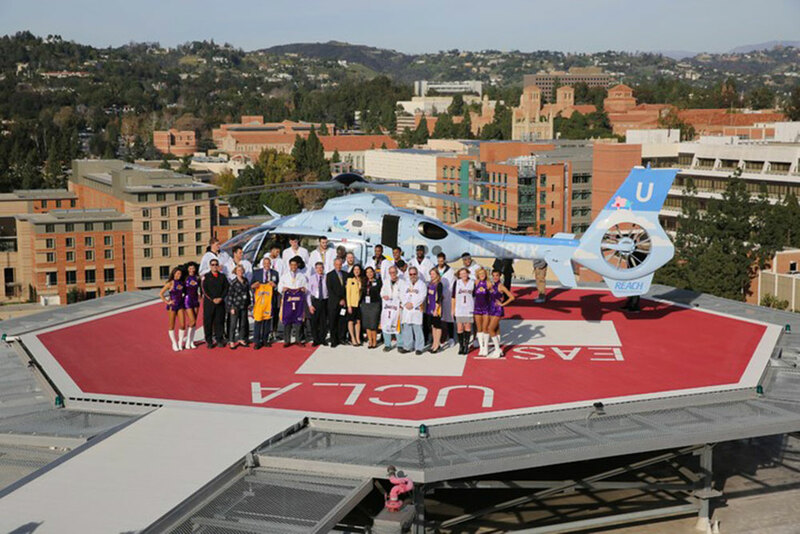 HMMH used the FAA Integrated Noise Model, with inputs developed through reviews of existing helicopter operations logs and previous noise reports associated with the relocation of the helistop to the Medical Center, and through discussions with UCLA Medical Center staff and helicopter operators and planners. Nine different helicopter types were modeled on up to seven approaches and seven departure flight paths. The analysis determined that the CNEL contours from the helicopter operations at the helistop show that the helicopter operations are compatible with the existing land use in the surrounding communities.